The phrase “the right to choose” has been associated with the major political and medical debate in the area of women’s health for decades. As a mom of two young girls, I take exception to anyone deciding that they can dictate or revoke my right to choose. But it’s not the same right to choose everyone else finds disagreeable. Recently, Disney Channel made a bold choice in the content they portray. In the premiere of the tween-targeted show “Andi Mack” Disney will run it’s first LGBTQ storyline. I am unashamedly Christian. But my challenge with this episode isn’t the open display of a homosexual lifestyle. My trouble is that it is becoming more difficult to choose what I expose my children to and how that happens. Anymore, topics once considered “adult content” are showing up in media and entertainment aimed at children and families. Gone is the day when TV shows only included content on sexuality, crime, and vulgarity during the prime-time hour, when children are asleep. Once, during our morning commute, the morning the news reported that a young girl in Chicago stabbed her sister 40 times because she felt unappreciated. And while that’s a topic for an entirely different blog, it happened so unexpectedly I couldn’t divert my girl’s attention or change the station before they’d heard it. Thankfully, I heard the report with them and was able to discuss it, answer their questions and allay their fears. In light of our society’s strong protection of our First Amendment right to choose and to speak freely, here are a few tips for moms who would rather introduce certain topics to your children in your own way. There was a time when the expectation for children’s entertainment to be 100% kid friendly was safe. More and more the need to captivate and win loyalty from audiences has writers and producers pushing the envelope of appropriateness. Our family loves to play Monopoly on family game night. Once, Olivia and Alexandra blew on the dice before each roll and told other players to “make it rain” when landing on their properties. They saw both behaviors on a popular Disney Channel series. 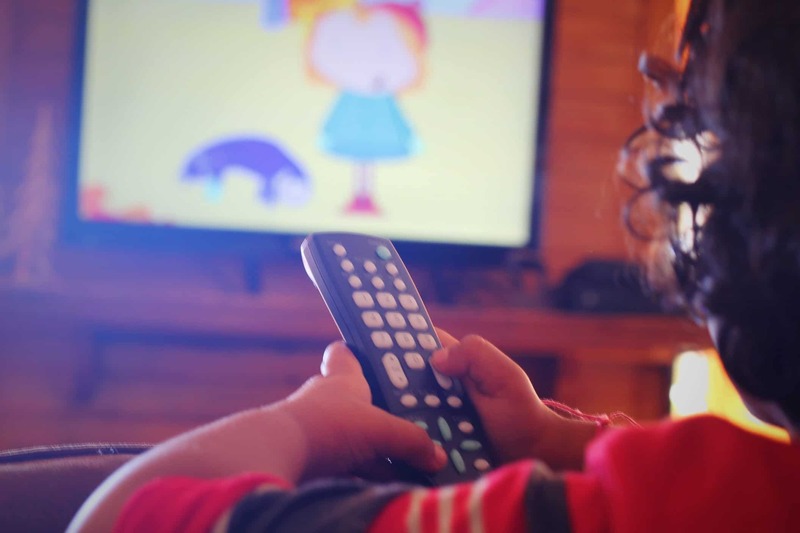 Closely monitoring the content of your child’s entertainment has become a necessity. Sometimes children ask questions with adult context from a childlike perspective. When your children engage you in questions that seem age-inappropriate, don’t dismiss them. Respond to their questions in a way that meets the need without introducing anything more than necessary. Don’t underestimate their ability to comprehend, but don’t force it on them either. It’s a delicate balance that requires you to know your child’s personality and maturity. I am not sure my girls would have completely understood the context intended by having two moms in the “Good Luck Charlie” episode. I have a bonus son, so in our family, he has two moms. He also has a dad, three grandmothers and a great-grandfather who are active in his life because of our blended family. If that is the context my girls understood, I’ll allow them to hold that view. If you want to be sure your children are exposed to the “right” kind of things, the best way to make sure of that is to do those things with them. Watch television with them. Trust me, you’ll understand and relate to more than you think. Limit their screen time by helping them come up with an electronic device schedule. Let them help and pick the times and shows they want to watch. Engage in more family activities where you all participate, allowing them the comfort to be open and honest with you in a relaxed forum. This can open the door to conversations about issues in a non-threatening manner. Start practicing #DeviceFree Dinner. Engage them in open-ended discussion whenever ever possible using these 10 conversation starters. Do you feel your right to choose as a mom is being revoked by entertainment and media? How will you adjust to keep your right to choose in place? I loved your conversation starters! This will be helpful to me as my kids get older in their tween years. I have been thinking about your post a lot since I read it last night. Hetero adolescent romance is so common in Disney shows/movies. Consider what it might mean for a young LGBTQ person to see more stories like their own told. Just like I latch on to anyone remotely Asian on TV or movies even as an adult (hence, my love for Andi Mack), how important it is for LGBTQ youth or kids in LGBTQ families to see themselves represented on TV. That it is not necessarily an “adult” topic but a reflection of their lives as children. Thanks for sharing your tips on discussing things with our kids!